Less than one week ago, Israel-based Versafe was in New York City, making their case for total fraud protection before a Finovate audience of more than 1,100, and hundreds more following online. Who knew how closely F5 Networks must have been listening! F5 Networks announced today that it was purchasing the Internet security specialist and one-and-done Finovate alum for an undisclosed amount. All 40 employees, including Versafe’s three founders, are expected to remain on board and the company will continue to operate out of its headquarters in Rishon Le Zion, Israel. 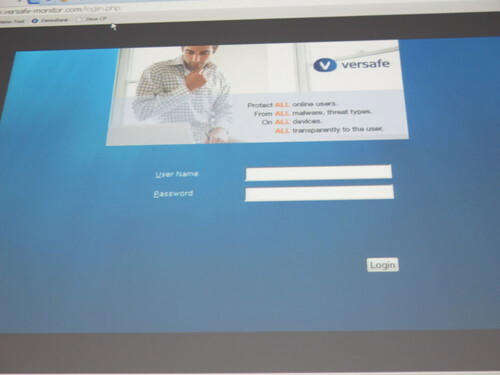 Versafe chose FinovateFall 2013 to present some of the latest enhancements to its TotALL Online Fraud Protection Suite. Their technology relies on advanced encryption and real-time behavioral analysis to provide a layer of protection between the end user and the application. This protection is effective regardless of whether the app is access online or via a mobile device. Versafe was founded in 2009 by Eyal Gruner (CEO), Boaz Zilber (COO), and Idan Amir (VP Sales EMEA). 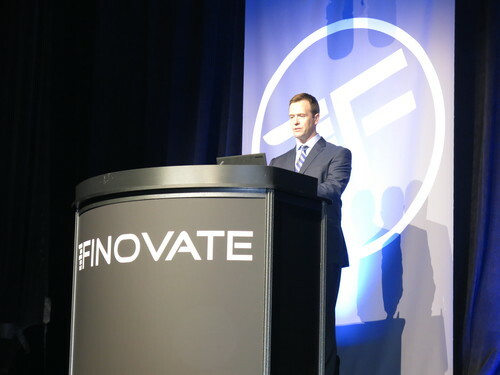 View our Live Blog post of Versafe’s FinovateFall presentation here. The company’s demo video will be available later this month. Versafe is making its way to the stage right now. The company’s solutions provide fraud protection for mobile and online applications. “The TotALL Online Fraud Protection Suite protects the login, user profile & transaction communication between the endpoint and web and mobile applications in real-time, without requiring software download or any user involvement whatsoever. The solution leverages advanced application-layer encryption, sophisticated malware detection, and real-time behavioral analysis to proactively protect user credentials, accounts, and monies. And with several implementation models, including a rapid deployment option not requiring any application development, protection across an organization’s entire user base can begin as soon as tomorrow. Jack Henry Banking takes a look at the trend toward outsourcing by mid-tier banks. Versafe warns about new cross-device, mobile malware challenges to multi-factor authentication strategies. 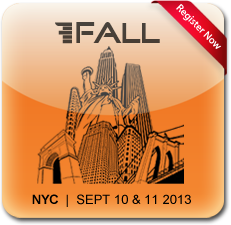 Meet Versafe at FinovateFall 2013 in New York City in September. Intuit launches QuickBooks Cloud ProAdvisor Program, providing free access to Intuit’s online products. Here are a few more of the 70 companies that will demo their new technology on September 10 and 11 in New York: Guide Financial, Lumesis, mBank & Accenture, SpearFysh, TipRanks, Toopher, and Versafe. Want to join us in New York in September? Get your ticket to FinovateFall 2013 here. To learn more about FinovateFall, check out the FAQ. Guide Financial’s Guide is a personal money mentor to mainstream America – providing free, unbiased, and comprehensive guidance for the 55 million Americans lacking access to financial advice. Uri Pomerantz has built career in finance and technology from founding a microfinance lender at 21 to roles at Microsoft, Goldman Sachs, and McKinsey. Lumesis’ DIVER Advisor delivers critical information in a simple to access and deliverable report to satisfy regulatory requirements while providing users important client portfolio monitoring tools. Why it’s great: DIVER brings software solutions to the once dormant and technologically underserved fixed income municipal market. Gregg Bienstock, Esq. co-founded Lumesis. Previously he led Strategic Initiatives for Ambac FG and served as their CAO. He practiced law for 8 years. Tim Stevens, CFA co-founded Lumesis in 2010. Previously he was Sr. Managing Director and led Capital Markets for Ambac FG. Prior to that he was a CPA at Deloitte. mBank and Accenture will present the redesigned online banking system with one of the coolest, most high-tech banking experiences introduced to 3.5 million mBank users. Why it’s great: New mBank introduced the most advanced online banking experiences worldwide on an unprecedented scale of 3.5 million customers. Michal Panowicz, Harvard MBA Alumnus 2006, previously working for Boston Consulting Group, eBay and Microsoft. Joined BRE Bank in 2011. 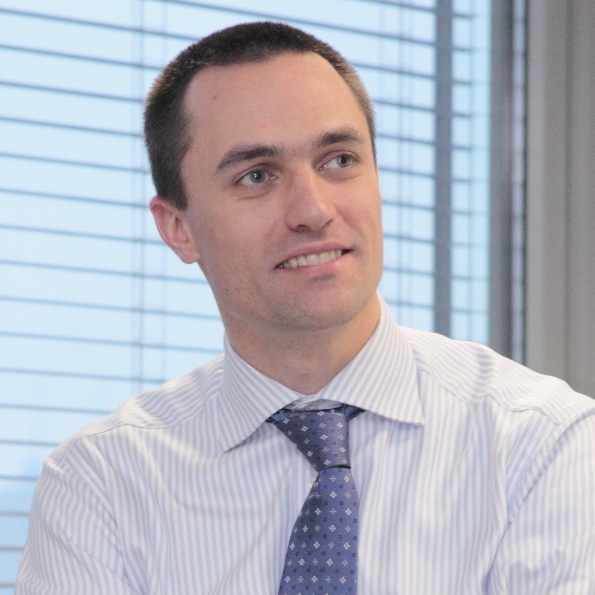 Maciej Jopyk, Senior Manager at Accenture; Financial Services Systems Integration since 2003. SpearFysh leverages mobile, speech analytics, big data, & SaaS technology to improve sales process & drive growth. TipRanks is the first cloud-based service that collects, analyzes and displays unbiased, comparative metrics regarding published stock recommendations, helping retail investors make better decisions. Why it’s great: TipRanks technology collects, measures and displays the performance of anyone providing investment advice online, so you know who to trust. Toopher is the most usable, most secure authentication solution available. It’s an invisible, multifactor authentication product. Why it’s great: Toopher is simple, secure, and stays in your pocket. Josh Alexander, CEO and Co-Founder: It’s ironic when the person in charge of strategic vision wears glasses. Versafe protects organizations and their users from the full range of malware and online threats, across all devices, without requiring endpoint software or involving the user in any way. Why it’s great: Versafe protects ALL online users against ALL threat types and attacks, across ALL devices, ALL transparently to the user. Jens is responsible for Versafe’s go-to-market strategy, guiding its products and services evolution, as well as developing a network of strategic technology and channel partnerships. Stay tuned next week for another sneak peek of FinovateFall 2013 companies.